Director, Intellectual Property, Nuclear Security, HU and OPEX HU Engineering Champion – SNC-Lavalin Nuclear Inc.
Pamela Tume is an established leader with more than 20 years of nuclear experience in project, engineering, compliance and corporate roles. Through this period she has learned to enable the power of many through the strengths of collaboration, active listening and support of human performance excellence. She has performed various leadership roles including engineering manager for permanent plant Candu 6 refurbishments and services, and resource planning for the sale and transition of the Commercial Reactor division to SNC- Lavalin. In her current capacity, she is provides expertise and consultancy services in the areas of compliance program development and training for Intellectual Property, Nuclear Safety and Security, Human Performance and Operations Experience. She is the technical adviser to patent office and legal counsel to manage the patent portfolio inclusive of the Atomic Energy of Canada Power reactor sector. As the Company Security Officer for Candu Energy, she is a key enabler of the Government of Canada security policy for New Power sector technologies. 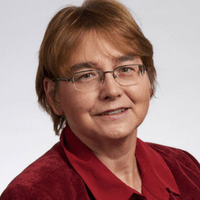 Pamela holds a Honors and Masers degrees in Physics and a Doctorate in Nuclear Engineering and was the beneficiary of National Defense and NSERC funding and a post-doctoral research fellowship.